Testing Classes 4 or 7 vehicles couldn’t be much easier with any of the GETECH brake tester range. For the testing of Class 4 or 7 vehicles either a GE4 or GE7 brake tester can be used and either of these models can be further upgraded to a fully automated product simply with the addition of an integrated weighing set, auxiliary prompter and ATL software. That keeps your costs down but also means that you can invest in the MOT bay in incremental steps in line with cash flow projections. To keep things as simple as possible any upgrade to our products can be achieved within the original civil works footprint ensuring that downtime during any planned upgrade is minimised and that once a GETECH product is installed it can easily be upgraded to suit further business expansion plans. For existing test stations whose product has failed and for which a replacement is sought, a GETECH product is likely to be the quickest and easiest solution in the market due to our UK stock levels and, more importantly, the way in which the RBT integrates into the floor frame we supply as standard for our products. Older brake testers tend to be installed into either shallow recesses or are split bed configurations but our floor frame design ensures that any existing recess situation can be quickly and easily amended so that a re-installation can be easily achieved within the mandatory 48 hour period offered as grace by the DVSA. 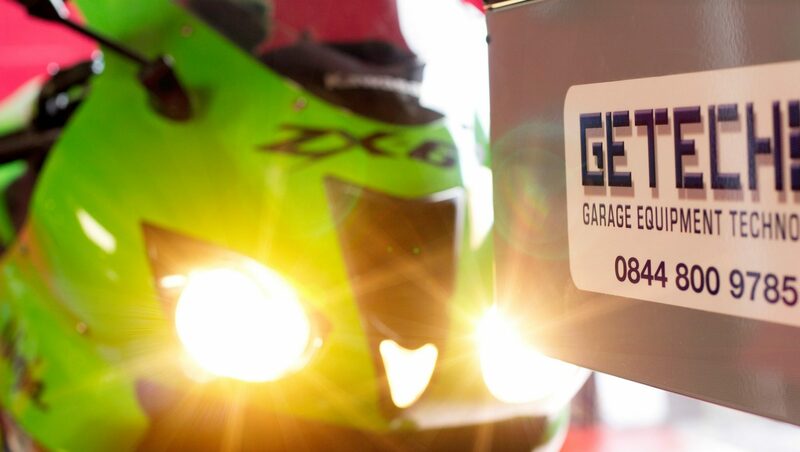 The GE4 & GE7 brake testers are also supplied with a 5 year extended parts warranty which is industry leading – so if you are seeking reliability as well as flexibility and competitive pricing then call GETECH today on 0844 800 9785 during normal office hours.